Perennial. Has a finely-ribbed stem and mostly rounded leaf lobes. Requires: Dry grassland, heaths and open woodland, not acid soils. Perennial. 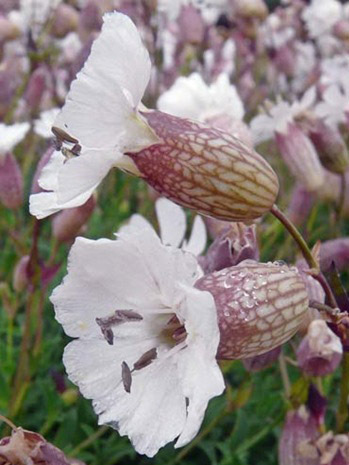 An unusual plant with white, slightly drooping flowers above a purplish veined bladder. A nectar plant for butterflies. Perennial. A lovely specimen to brighten hedgerows, meadows and shady spots in the garden. Perennial. Solitary white flowers with a net veined 'bladder' and thick waxy leaves Ideal for a rockery. Often growing on the edge of cornfields, hedgerows and waste ground. Biennial with white umbelliferous flowers with a pink tinge. Looks good growing with scabious. Perennial. Soft hairy plant to about 1m with violet-blue flowers. Perennial. Trefoil leaves and pinkish-red clover rounded flower heads. Essential component of the spring meadow. Perennial. Evergreen creeping plant, 3-lobed leaves. White flowers, 10mm, smelling faintly of honey. Found in garden lawns - will stay greener during drought conditions. Requires: Found in all types of grassland, lawns, waste ground, footpaths. 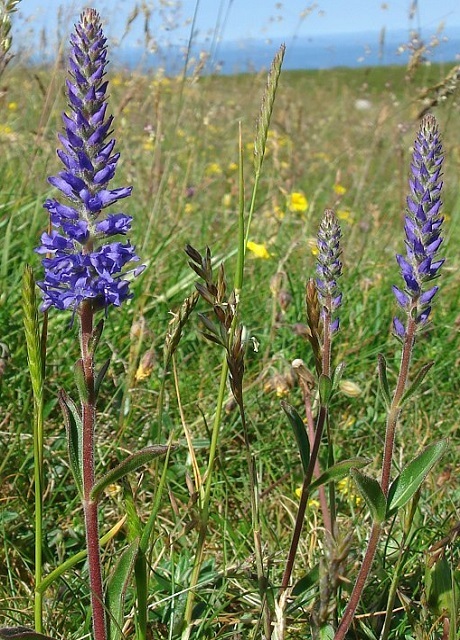 Height: 10-20cm, but will adapt to being cut short in a lawn. Perennial. Long stalked with long-spurred blue-violet flowers. Requires: Woodland edges and roadsides, damp woods, dry and damp grasslands. Perennial. Flowers scented 10-15mm, clustered on a long, leafless stem. Deep yellow with orange markings in centre. Requires: Dry Grassland & scrubland, not acid soils. Perennial. Large purplish veined flowers, 30mm. 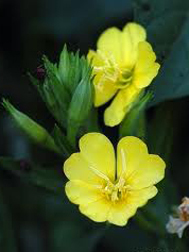 Flowers usually in pairs on longer stems. Requires: Meadows, woods. Damp-dry, none acidic soils. Perennial. One of our best-known lawn wild flowers. A well known popular wild flower with lovely, large, white daisy flowers. Also known as the Dog Daisy. Seen in meadows and along roadsides. Height: 30 - 60 cm. Biennial. Leaves toothed or with entire margins. Yellow flowers 2-3 cms wide. Tolerant of infertile soils. Perennial. 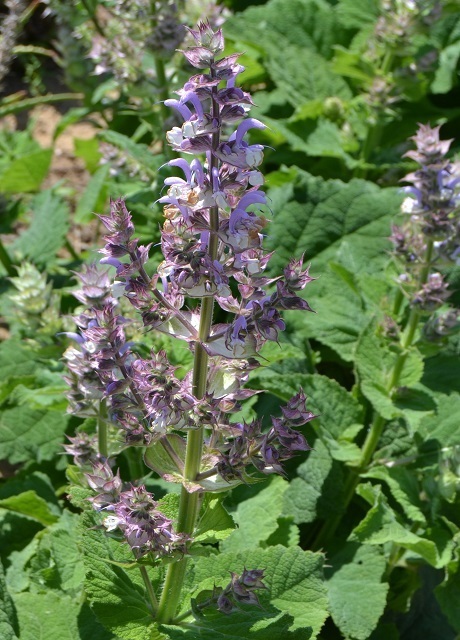 Tall erect plant, leaves are paired and short-stalked, flowers are greenish-brown with a purple upper lip. Requires: Damp woods, hedges, damp soil. Perennial. Soft hairy plant, arrow shaped leaves with underground runners. Lower leaves start dying near flowering time. Yellow flower 15-30mm. Found in open woods, clearings, footpaths; on acid soils. The plant normally dies after the seeds have been dispersed. Biennial. Also known as Hedge Garlic and Jack-by-the-hedge. Hairless plant smelling of garlic when crushed. Leaves toothed and heart-shaped, long stalked. White flowers in a leafless cluster. Requires: Damp deciduous woods and scrub, hedgerows. Moist-dry soils. Perennial. Yellow dandelion flowers followed by impressive seed heads which are highly attractive to birds. Perennial. Leaves are spear-shaped and sharply toothed. Unstalked flowers cluster around each pair of upper leaves on stem. White flowers with red-spotted lower lip. Requires: Overgrown pond margins, reed beds, ditches, marshes, wet-damp soils. Perennial. A well-loved wild flower also known as Scottish Bluebell. Perennial. Dandelion-like flowers and seed heads, a good showy meadow subject. Seeds are magnets for Finches. Perennial. A meadow plant with yellow dandelion flowers. 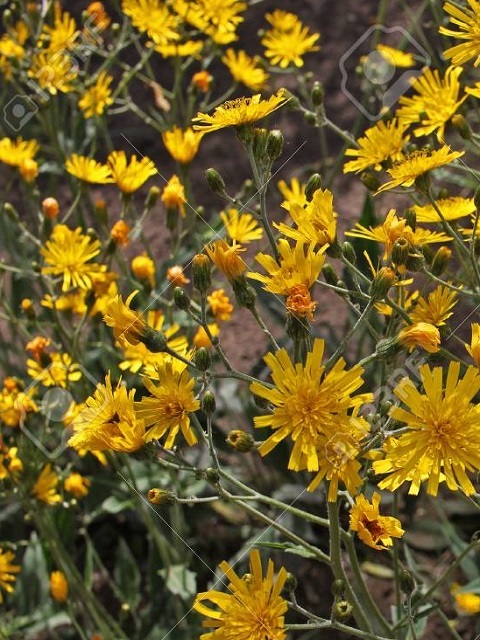 Also known as Greater Hawkbit. Seed heads form a clock which attracts birds. Perennial. Yellow flowers, attractive spotted leaves. Perennial. Sword shaped leaves and bright yellow flowers, will stand in water. Perennial. Thistle-like purple flowers, looks good with ox-eye daisies, also known as Lesser Knapweed. Good in a moist border or bog garden. Perennial. Very showy, tough plant with a profusion of pink/purple flowers. Perennial. Pale Pink form of Musk mallow. Much admired in our own garden. Perennial. Hairless plant, leaves broad, shiny and heart shaped with long stalks. Flowers bright shiny yellow, to 5cm across. Requires: Wet meadows or wet woodlands, stream sides, wet/damp soils. Perennial. 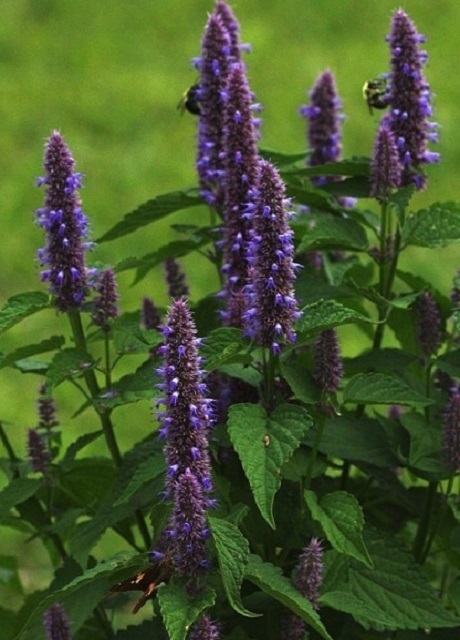 Aromatic perennial with masses dark purple buds turning to paler flowers, a good butterfly plant. Perennial. A lovely plant for the bog or moist garden. Foamy clusters of small, sweetly fragrant, cream flowers. Requires: Sun and damp soil. Mignonette - French for little darling. Hairless plant, wavy leaves and yellow/greenish flowers. Requires: Sun. Waste ground and field margins. Perennial. Aromatic plant with minty smell. Purple stems with dense flower clusters at the end of each stem. Requires: Wet meadows, wet woodlands, marshes, river banks. Usually on calcareous soils. Perennial. A lovely plant - much admired in our garden. A rosette of leaves throws up a spike of rich yellow flowers with orange anthers, grow in herbaceous border. Biennial. Very tall, covered in white, woolly hairs. Long leaves, pale-yellow flowers on short stalks, grouped together on a dense spike. Requires: Woodland margins, clearings, disturbed weedy areas. Prefers dry soil. 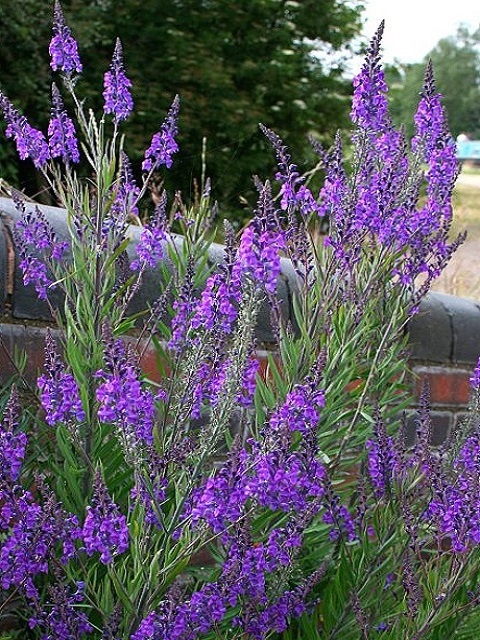 A grass-like perennial with a 5cm spike of small vanilla scented pinkish-purple flowers. 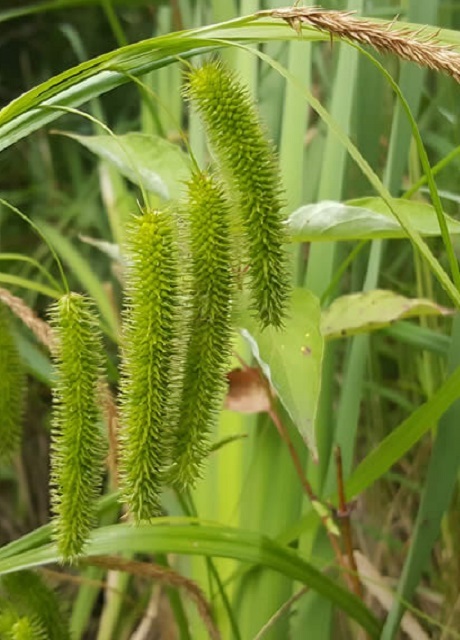 Grass-like perennial with spikes of blackish-brown flowers with yellow anthers. Common meadow component. Requires: Prefers a sunny position. A native perennial common throughout the British Isles. Grows in woods, hedgebanks and grassy places. The name comes from prima rosa - first rose. 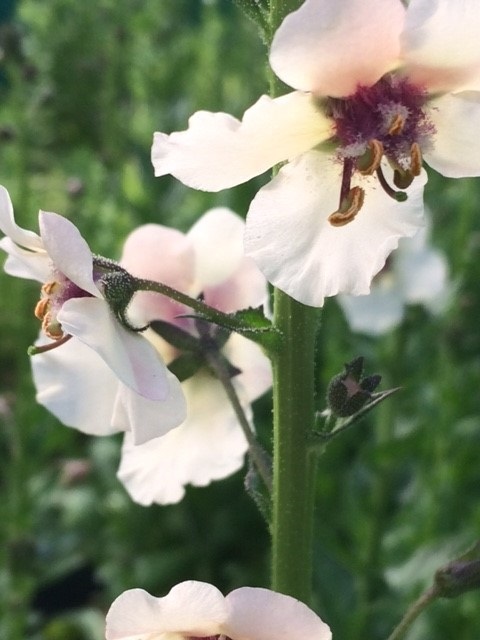 A lovely perennial with dainty pink flowers with 'ragged' petals. Looks terrific in a wetland meadow with meadow buttercup. Requires: Damp soil and sun. Requires: Dry soil and sun. Perennial. A good woodland subject with lovely crinkly, light green leaves and greenish-yellow flowers with prominent maroon stamens. Perennial. 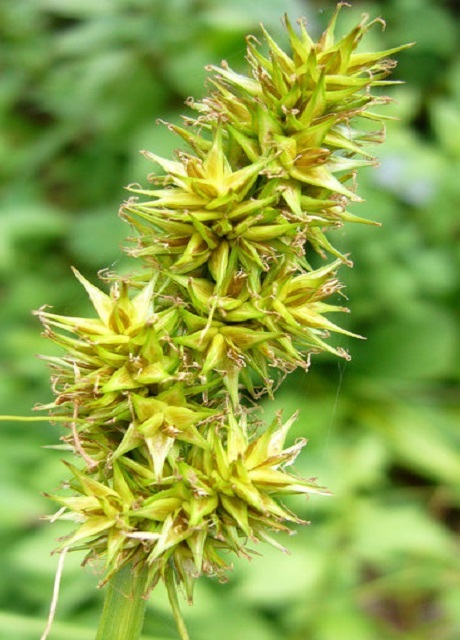 A bushy meadow plant with cone-shaped spikes. Aromatic perennial with masses dark red flowers turning to pink. Perennial. Similar to Knapweed. Violet-red flowers size 1.5cms. Perennial. Soft hairy stem, flowering heads about 2cms across, compact and violet-blue. Requires: Poor grassland, fenland or meadows, damp-moist acid-calcareous soils. Perennial. Blue-lilac 'pincushion' flowers in summer. Looks attractive with ox-eye daisies. A nectar plant for butterflies & bees. Requires: Sun and well drained soil. Perennial. A compact small plant with pale blue flowers, plants are a magnet for butterflies. Requires: Lime-rich soil and sun. Perennial. Tussock and rhizome forming, spreading plant, leaves to 22mm wide, drooping. Requires: Woods, damp-moist soil, not acid. Light-heavy shade. 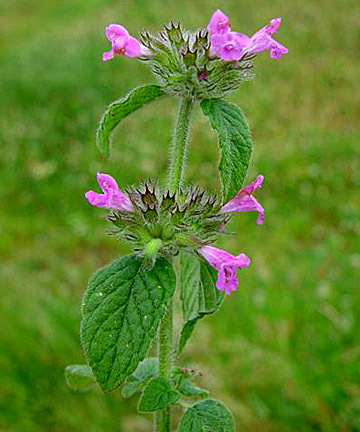 A perennial with a purple-violet flower. Perennial. Leaves narrow, pointed and finely toothed. Small flower heads in loose clusters. Requires: Grasslands, marshes, damp soil. Not calcareous soils. Perennial. Flowers weakly-scented and clustered in the upper leaves, can be pale pink or white. Requires: Damp-moist soils, Found along footpaths, waste ground, hedges and river banks. Perennial. 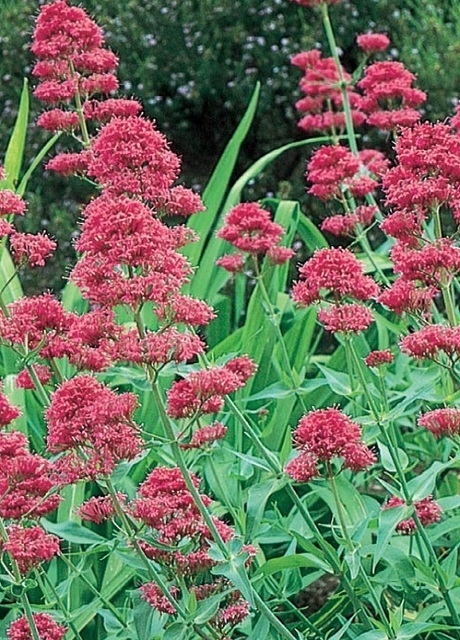 Reddish pink flower spikes, arrow shaped leaves turn crimson. Perennial. 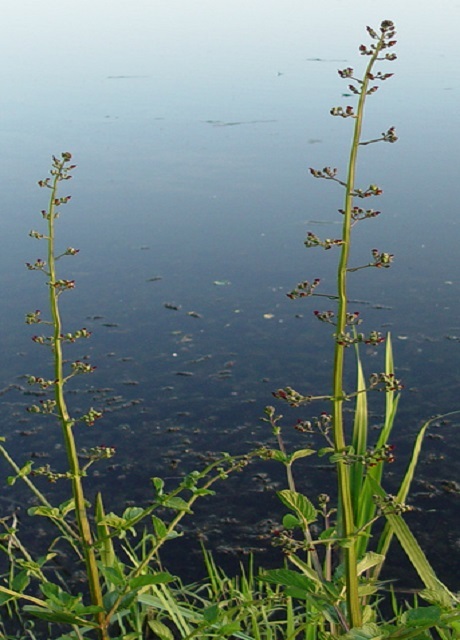 Flower spikes are reddish pink - smaller than Common Sorrel - with daintier leaves. Perennial. A shrub-like plant with clusters of golden yellow flowers. Requires: Sun and well-drained soils. Perennial. Hairs on stems and on both sides of leaves distinguish this specie. Flowers pale-yellow and quite large (to 1.5cm across). Requires: Damp woods, scrub, shaded areas, usually on calcareous soils. Perennial. One of our prettiest woodland and hedgerow spring flowers. White flowers up to 3cm on slender stalks. Petals notched and leaves narrow and stiff. Requires: Hedges, banks and wood-margins. Damp-moist soils. Perennial. Long rooting runners, has silky-hairy leaves with white flowers that produce tiny red fleshy head. Requires: Open woods, woodland edges, scrubland, dry soils, not acid. Tall biennial with conical, prickly flower heads banded with purple. Looks superb with the setting sun as a background. Gold Finches adore the seed. Perennial. Slightly aromatic, ground creeping specie.Has long creeping stems with flowers in a dense forming head. Requires: grassy areas with heathy sand and rocky places, can be found growing in walls. Dry acid - calcareous soils. Height: 10 - 20 cm. Perennial. A plant of hedgerows and meadows with yellow/orange snap-dragon flowers. Clusters of yellow/orange pea-like flowers. Yellow flowers in a larger head than birdsfoot trefoil. Perennial. Showy yellow flowers and a hairy calyx. Requires: Open sunny position chalk or limestone preferred. Perennial. Straggling plant, flowers weakly scented, yellow flowers 2cm long, branched tendrils. Fruit a blackish hairless pod to 4cm long. 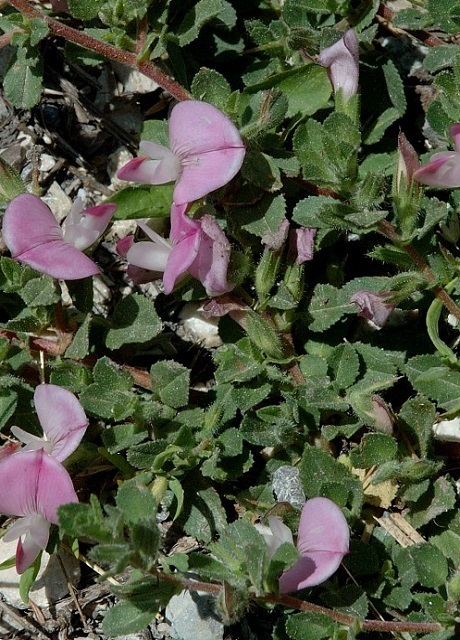 Also known as "Meadow Pea". Requires: Meadows, woodland edges, shrubs. Wet-moist soils. Flowers on tall spikes with pink buds opening to a glorious display of vivid blue. A fantastic plant, highly attractive to bees. Biennial. Yellowish-green flowers on long narrow spikes. Dark green wavy edged leaves. 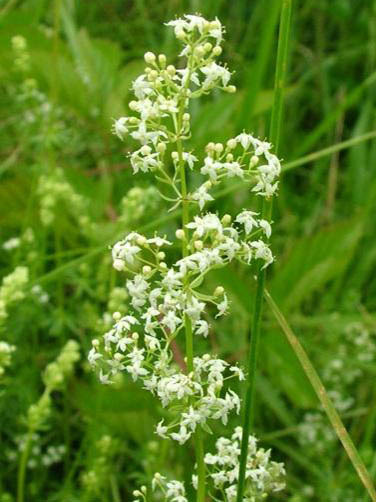 Very similar to Wild Mignonette. Requires: Sun, waste ground, footpaths. Perennial. 4-angled sparsely hairy stem, leaves heart shaped at the base. Corolla pale-purple/pink with dark spots on lower lip. Requires: Banks, wet meadows, ditches, wet fields, fenland. Perennial. 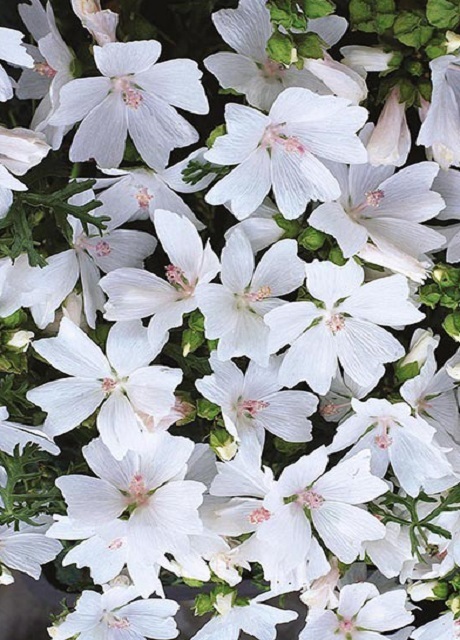 White or pinkish, aromatic flowers. Height: 40 – 55 cm.